Keep the footwells of your Alfa Romeo protected from soil, dirt, water and mud with stylish, tailored car mats. Manufactured and hand finished in the UK from the highest quality materials, fire retardant and waterproof, our mats preserve your vehicle’s interior and help to maintain its value. Available in a range of colours and fully customisable, from the material and style of edge trim right down to choosing your own logo or text, you are sure to find a style to suit your car and taste. 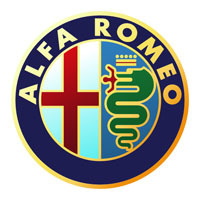 With all of our products covered by the UK manufacturer’s warranty, cut from the original templates and supplied with all the necessary fixings, we are your first choice for tailored Alfa Romeo car mats.